Earlier this week Democratic candidate David Garcia debated Gov. Doug Ducey twice on PBS. Few voters will remember their sparring over public education and the highway patrol. What they will remember is who was more likable — the key factor in electability. Bottom line: Ducey came across as an obnoxious jerk who interrupted repeatedly and spat out insults. Garcia came across as lively, animated and sincere. Voters will remember Ducey as being short and dumpy, devoid of any charm. In contrast, Garcia was tall and almost gaunt, and a guy who stood up for himself when confronted with the hostile jabs. The debates covered education, border security, and the state budget, but they could have been run so much better. For example, there was no woman journalist asking questions. Obvious topics like healthcare, climate change, and gun safety didn’t come up. But ultimately, this didn’t matter. 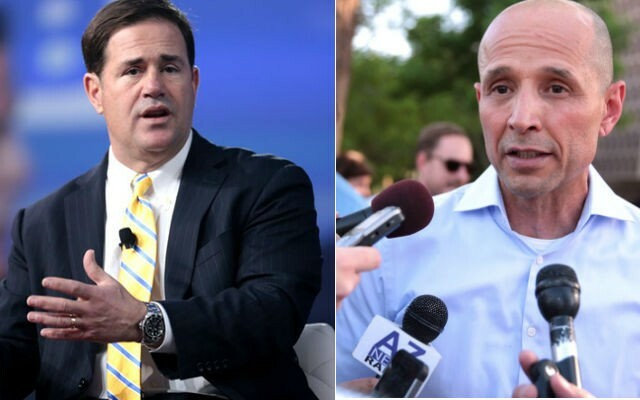 Voters wanted to get a feel for what Garcia and Ducey are like in person. I didn’t get any warmth from Ducey. When he introduced himself by mentioning his wife and three sons, it sounded as if he was making it up as he went along. When he talked about giving teachers pay raises, you could see that he was faking sincerity. On the other hand, Garcia smiled broadly in his introduction, saying he wanted to be governor of his home state, he is a 4th generation Arizonan, a product of public schools, the first in his family to go to college, and the father of “two amazing girls,” you could tell he meant it. In each of his statements, he looked the viewer right in the eye. Gov. 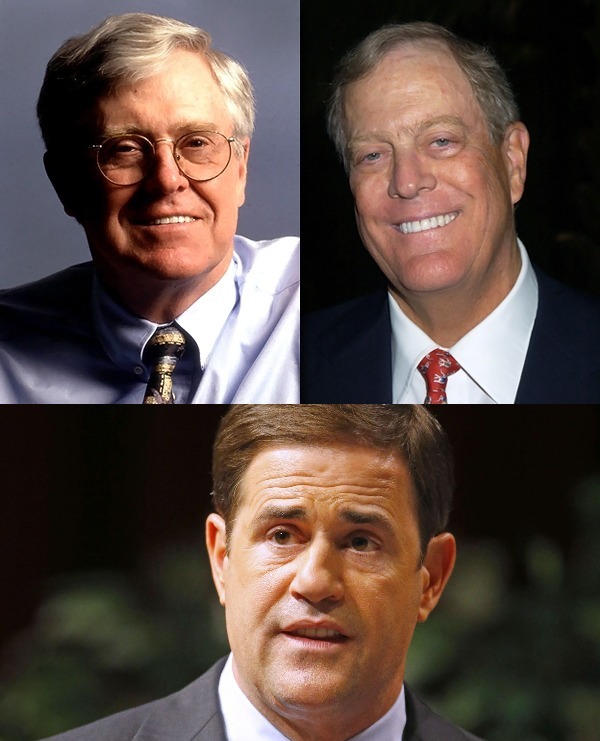 Doug Ducey is a stooge of the Koch Brothers, who fund him with Dark Money and instruct him on how to destroy education in Arizona. What makes Ducey unlikable are his constant insults. He relentlessly plugged his negative website about Garcia. When the time to speak expired, Ducey repeatedly hogged the mike to get in the last word with a barb. Ducey threw out nasty one-liners like “David’s beating up on law enforcement is getting old,” when there was no time to respond. Ducey also interrupted Garcia repeatedly. At one point Garcia says, “I’ve counted 6 interruptions so far, and I believe this is the same pattern we saw last night. I am working had to be a gentleman here. I am working hard to follow the rules.” That certainly makes Ducey unlikable. To illustrate how desperate Ducey was, he actually criticized Garcia for comments made by his supporters on Twitter. Anyone familiar with social media knows that you cannot control what others say. Ducey also comes up with bogus statistics like, “a pound of fentanyl is lethal to 170,000 Arizonans.” I checked Google and couldn’t find the basis for this statistic. I found that 1,000 Arizonans died in a 9-month period ending in April 2018, but I don’t see how this gets to 170,000 people. This makes Ducey non-credible. Maybe Ducey doesn’t care that he is not likable. He may be more interested in running for President than Governor of Arizona. There is a widespread belief that if Ducey loses the election, he will ask stand-in Senator Jon Kyl to get out of the way so that Ducey can appoint himself Senator. There’s not much to like in that scenario. You criticize Ducey for his physical appearance and then say he is unlikeably because he insults Garcia. Only on BfA is that not a hypocritical double standard. How people look on TV has been a political issue since the Nixon/Kennedy debates. What is hypocritical is you criticizing AZ when he comments on someone’s looks while you blindly support Donald J. Trump, who’s speeches and interviews and Twitter feed are overflowing with insults about how other people look. It doesn’t seem to bother you when Trump calls people names. You really need to start thinking things through, John, seriously.